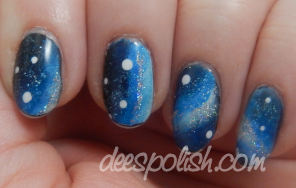 I make it absolutely no secret that I am obsessed with blue nail polish. I find it complements my skintone the best.. and I mean, go with what works, right?! 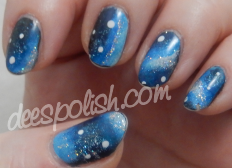 So why not mix blue polish with galaxy nails?! Fantastic! That is everyone for today -- see you again soon!! !